Shopify is an ecommerce solution designed for retailers looking for an easy way to create their online stores. This ecommerce platform has become tremendously successful due to its user-friendliness and the simplicity of its interface. 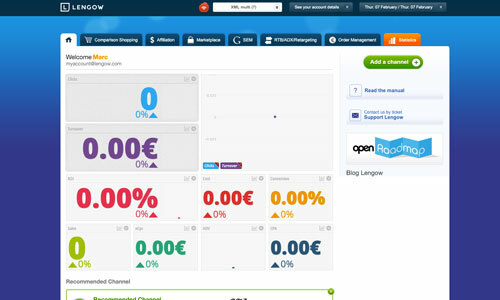 Shopify Plus is the version of Shopify specifically designed for major companies. Cloud data storage means that additions of functionalities and bug fixing are carried out in complete transparency for you. 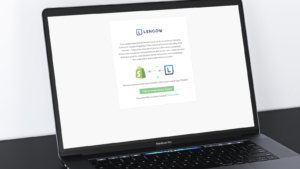 Available from the Shopify App store, the Lengow application will enable you to export your product catalogues from your store rapidly and then publish them on the channels where your purchasers await you. 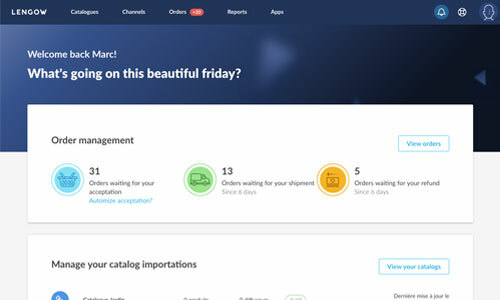 Import and manage your orders coming from marketplaces (Amazon, Cdiscount, etc.) in your Shopify interface and synchronise your inventories to ensure your product sheets are always up to date. Keep a close eye on the first orders you receive on our platform to make sure they are correctly integrated into your back-office. How can your multi-channel strategy be optimised on Shopify Plus? Is Shopify Plus suitable for marketplace sales? What difference is there between Shopify Plus and Shopify?